This funny and super clever. Enjoyable listen. I love documentaries but even if I didnât I know Iâd love this podcast. The guests are always really invested in the doc theyâre discussing and have a tie to it in some way, making me see it in a whole new light. Also, both the host and the guests always end up being extremely entertaining and funny. This show is like hanging with two good friends talking about some of the best true crime, weird subcultures, and fake cults! these dudes know their docs! This is no casual overview of thelatest netflix originals. Paco and George know their documentary history from top to bottom and bring that expertise to the table, all while displaying the charm and engagement that make them such great comics. With guests like Todd Glass and Dana Gould, you'r esure not to find this mix of comedy and nonfiction film discussion anywhere else. Funny, interesting people talking about the best documentaries. Really fun podcast and subscribed right away. Keep it up! Great documentaries always get me jazzed. The docs that Paco and George review are some of the best Docs out. What an amazing list! Great way to go deeper into a story and understand "characters" from several points of view. Kind of a back stage pass... Keep em coming! My best friend recommended this podcast because I'm a big documentary junkie and this show is a great way to discover diamonds in the rough. Also, they are suuuuper funny and there's never a dull moment. Even if you don't feel like watching a doc this is a great podcast where you learn a little something new and laugh. Smart, funny people talking about smart documentaries? How can you go wrong? Paco and George do a great job hosting and the guests and documentary choices are always really interesting. Mad funny podcast, especially love the OJ episode. I want to hear a Gates of Heaven episode! Documentaries are so hot right now. Whether Armisen & Haderâs mockumentary series Documentary Now!, or Paco & Georgeâs Sup Doc, a podcast dedicated to either honestly or ironically enjoying some of the wildest documentaries out there, documentaries are returning to the limelight as a source of serious (or not-so-serious) insight in to some of the weirdest people, places, or things on the planet, and BEYOND! Add in special guest comedians, musicians, directors, and more, and youâve got a great addition to your workday, commute, or whatever you weirdos do while listening to podcasts. Episode 38/39, and 42 are my favorites so far. Enjoy! I love documentaries and funny people make everything better. You've turned me onto some great films and I hope you keep it up forever! Even when I havenât seen the films this podcast is still entertaining. Twice I have listened to episodes about films that I intended to see (because I donât mind spoilers) and I feel like it made me think a bunch more about the film as I watched it. These are comedic, well-versed conversations about documentaries, and even if you donât watch the documentaries they are fun to follow! These are amazingly in-depth and hilarious studies of some amazing documentaries. 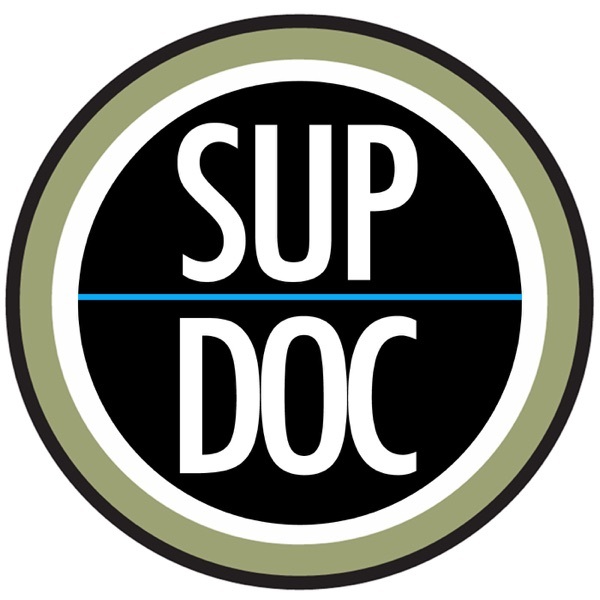 Definitely check out upbeat conversations about various kinds of documentaries. The hosts are engaging, as well as the guests. As a comic who is a big documentary fan I am kicking myself for not coming up with this myself but kudos to Paco and George et al for this brilliant idea, give Room 237 a try! Really enjoy listening to this podcast. I am a documentary nerd and a comedy fan. These guys are super funny and I like listening to their stories and conversations. Check it out!